The company founded in 1969. It is the market leader in Turkey and of the 3 top players in Europe. Its clientele consists of companies like H&M, Zara, Bershka, Tom Tailor, Big Star, Esprit, C&A, Adidas, Tommy Hilfiger, Jack and Jones, Marks and Spencer and many more International players. It has an annual production capacity of 150 million units of textile labels. 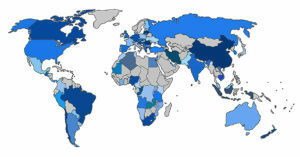 Company exports to Europe and Asia-Pacific markets. • Comply with European working, social and environmental requirements. • Logistic hub and easy access to Europe, Asia and Middle East market. • Acquire a successful, profitable and rapidly growing Business. • To grow the Business significantly through cross-fertilization.